Dane Cobain has read 153 of 200 books. Dane Cobain read 283 books of his goal of 200! Dane Cobain read 254 books of his goal of 200! Dane Cobain read 391 books of his goal of 100! Dane Cobain read 163 books of his goal of 100! Dane Cobain (High Wycombe, UK) is a published author, freelance writer, poet and (occasional) musician with a passion for language and learning. When he’s not working on his next release, he can be found reading and reviewing books for his award-winning book blog, SocialBookshelves.com, while trying not to be distracted by Wikipedia. His releases include No Rest for the Wicked(supernatural thriller), Eyes Like Lighthouses When the Boats Come Home (poetry) Former.ly (literary fiction), Social Paranoia (non-fiction), Come On Up to the House (horror) and Subject Verb Object (anthology). Cobain’s love of words grew from an early age, whether he was rewriting the lyrics to pop songs or teaching his elder siblings – maths and computer science stud Dane Cobain (High Wycombe, UK) is a published author, freelance writer, poet and (occasional) musician with a passion for language and learning. When he’s not working on his next release, he can be found reading and reviewing books for his award-winning book blog, SocialBookshelves.com, while trying not to be distracted by Wikipedia. His releases include No Rest for the Wicked(supernatural thriller), Eyes Like Lighthouses When the Boats Come Home (poetry) Former.ly (literary fiction), Social Paranoia (non-fiction), Come On Up to the House (horror) and Subject Verb Object (anthology). Cobain’s love of words grew from an early age, whether he was rewriting the lyrics to pop songs or teaching his elder siblings – maths and computer science students at university – how to execute commands in MS-DOS, all before he hit double digits. He started writing at fourteen, and progressed from lyrics and music to journals, short stories and poetry before writing the first draft of an early novel whilst in lectures. He studied creative writing at London’s Roehampton University, earning a 2:1 bachelor’s degree before starting a career as a social media marketer. It was this career in marketing, combined with his love for reading and writing, which led to the creation of SocialBookshelves.com, his book blog, which was recently ranked fifth in a list of the top literature blogs in the UK by Vuelio, and 37th in FeedSpot’s list of the 100 top book blogs on the planet. Through SocialBookshelves.com, he met Jesse James Freeman, the former VP of Community Management at Booktrope Publishing. Cobain’s debut novella, a supernatural thriller called No Rest for the Wicked, was released by Booktrope’s Forsaken imprint on June 11th 2015. His second release, a collection of poetry called Eyes Like Lighthouses When the Boats Come Home, was released by Booktrope Editions in March 2016. Cobain performs his poetry at stand up nights, slams and open mic nights, and has memorised all of the 101 poems in the book. He can also recite the first chapter of No Rest for the Wicked from memory. Cobain’s third book, a literary fiction novel called Former.ly, was released on June 11th 2016. It follows the story of the rise and fall of a social networking site for the dead. Users sign up to the site, create a profile that they populate with updates that only they can see, and then when they die, their profile goes live to the public. But there’s something sinister about the site – something that people are willing to kill for. 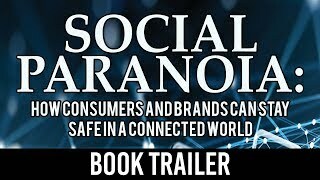 Former.ly was followed by a non-fiction book called Social Paranoia: How Consumers and Brands Can Stay Safe in a Connected World, which was released in August 2016. 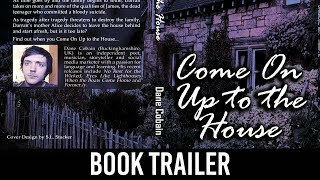 The year was rounded off with Come On Up to the House, a horror novella and screenplay, in November. To ask Dane Cobain questions, please sign up. Dane Cobain Yes, I can. Oh, you actually want one? Here are a few from the flash fiction collection I've been working on. THE LIBRARIAN SHIVERED as the thought hit…moreYes, I can. THE LIBRARIAN SHIVERED as the thought hit her. Everyone has a last book after which they never read another, even if only because Death and his bleached bone hands arrived to take them away to the bookshop in the sky. JIMMY’S STOMACH ACHE turned out to be something more serious. The acid ate its way out and he died in agony. AS ENTERTAINERS GOT BETTER and better, people spent more and more time being entertained. Eventually, all that was left was entertainment – and the people starved in their seats as they entertained themselves into oblivion. WHEN THE SCIENTISTS cured death, they thought it was the greatest advance the world had ever seen. It also turned out to be the biggest curse. IT WAS THE SCARIEST horror story the world had ever seen. Marketing spent every penny of their budget without rustling up a single sale. HER LIFE was like a bad book that never ended. And then one day it ended and suddenly it didn’t seem too bad after all. THE WORLD ENDED on a Tuesday. But we were all so busy working we didn’t notice. If you could be any animal, what animal would you be? What we have here is a story that follows a curmudgeonly old man as he’s on his death bed in the hospital. But his death isn’t all that simple, and meanwhile there’s a baby due in the family. I’ve never read any of the Sindbad stories, so this was a pleasant experience for me. Definitely one of the Penguin Little Black Classics that has made me want to read more. Go and read it! I’m almost at the end now, and I’m pleased to report that it’s picked back up a little bit and I enjoyed this one more than the last. It’s still not quite as good as it was when it first started out, but it’s still good enough and it’s definitely wor I’m almost at the end now, and I’m pleased to report that it’s picked back up a little bit and I enjoyed this one more than the last. It’s still not quite as good as it was when it first started out, but it’s still good enough and it’s definitely worth reading, especially if you’ve made it this far. I think part of the reason that I enjoyed this was that you could tell that we were getting near the end game and so the stakes felt a little higher. The authors have also shown by this point that they don’t mind killing major characters when it serves the story, which leaves you as the reader feeling like pretty much anything could happen. Other than that, I’m not too sure what else I can say that I haven’t said in previous reviews. As always, the artwork is gorgeous, so big props to Takeshi Obata for that. Tsugumi Ohba does a great job with the story, too. He’s clearly a master storyteller, and it’s impressive how much he manages to convey through just dialogue and the image briefs that he gives to his illustrator. If you’re thinking about reading Death Note, I’d definitely recommend picking up the Black Edition books. They’re not super expensive (I think I paid around £30 for all six of them), and they’re beautiful little artefacts in their own right. They’ll look great on your shelves, but they also look great in your hands and the quality of the print is good enough to highlight all of the details from the original comics. This is basically something between a short story and a novella that acts as a pretty good standalone to introduce you to Peter James and his work. Originally published as part of the Quick Reads scheme, it was presumably successful enough that it ea This is basically something between a short story and a novella that acts as a pretty good standalone to introduce you to Peter James and his work. Originally published as part of the Quick Reads scheme, it was presumably successful enough that it earned publication in its own right. I was actually expecting it to be longer than it was, but a big chunk of it turned out to be taken up by an excerpt of Dead Simple, which I’ve already read. But the story itself was good, even if the perfect murder didn’t turn out to be quite as perfect as the perpetrators had initially envisioned. This book was just lovely, to be honest. It’s a very bookish book, the perfect read for anyone who loves books. It also follows quite a sweet story, even if you’re not a monarchist. In it, the main character is a familiar face: the Queen. She basicall This book was just lovely, to be honest. It’s a very bookish book, the perfect read for anyone who loves books. It also follows quite a sweet story, even if you’re not a monarchist. Well, the adventure has come to an end, and while there was a little bit of a bounce back up in quality here, it just wasn’t quite as good as the first couple of installments in the series. Still, it was good to see the denouement of the story and to Well, the adventure has come to an end, and while there was a little bit of a bounce back up in quality here, it just wasn’t quite as good as the first couple of installments in the series. Still, it was good to see the denouement of the story and to have it all come to an end, and I have to admit that it was kind of satisfying, even though it turns out that I already knew how it was going to end from somewhere. I think I watched it in one of the Japanese movies back in the day. For my first introduction to manga, I don’t have much to complain about here. The writing and the artwork were excellent throughout, even though the quality did start to dip here and there after a while. Kudos to the authors for resisting the temptation to keep on milking the story and dragging it out to make more money. They could have done that, and it would have ruined it. Looking around online, it seems as though a lot of people were disappointed with the series after a major character death towards the middle, and I can totally see why. That doesn’t mean that it’s no longer worth reading, though. You just might want to take your time after the first half, instead of forcing yourself to finish it, which is what I did. That probably didn’t help, either. But you have to hand it to the Death Note series: they came up with a fascinating concept and they executed it in such a way that they could keep on planning in as many twists and turns as they wanted to. It never felt as though the story was slowing down, even though there were bits of it where I wasn’t as engaged. Stuff was still happening, I just didn’t care too much. Not sure if I thanked you for being a friend, Dane. No copy of my message came up. Anyway thank you again.